A simple activity for a sunny day! I’ve been meaning to post about this fab easy and simple activity for a while! Rosie loves it when I give her a paint brush, some water (magic paint) and tell her to go and paint outside! 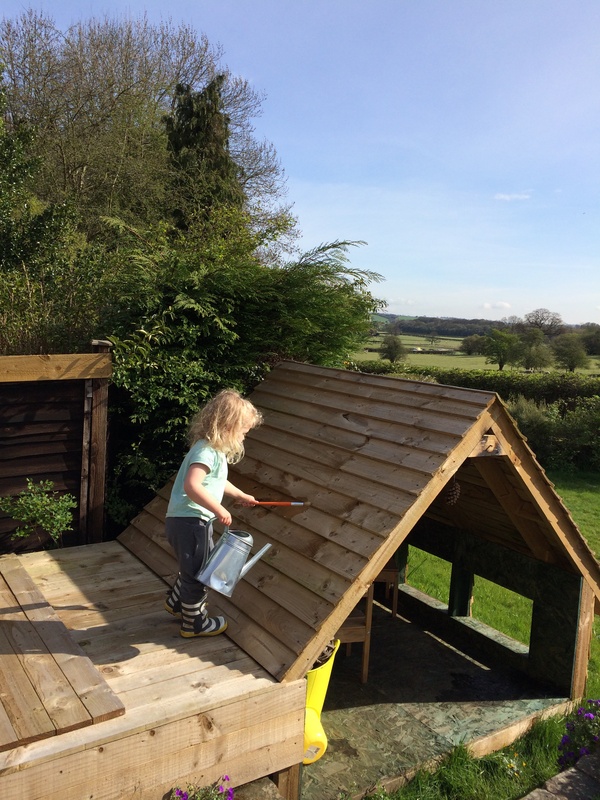 Yesterday she spent ages painting her play house, the paving, the barbecue, her slide etc. Have you any simple outdoor play activity ideas you’d like to share? This entry was posted in Activities we love ... and tagged Play, Preschool. Bookmark the permalink.